Round Table is best described as a social networking and charitable organisation for men in their 20s, 30s and early 40s, founded in Norwich, in 1927. Membership is open to all men aged between 18 and 40. Membership of Round Table provides a selection of social and community service related opportunities for its Members, who come from all parts of the community. The name “Round Table”, both its title and its maxim comes from a speech made to the British Industries Fair in 1927 by the then HRH Prince Edward, Prince of Wales ‘The young business and professional men of this country must get together round the table, adopt methods that have proved so sound in the past, adapt them to the changing needs of the times and wherever possible, improve them’. The phrase “ADOPT, ADAPT, IMPROVE” is a key facet of the Organization. Round Table was inaugurated on the 14th of March 1927 in Norwich (UK). Today, the Organization accounts for over 34,000 Members in more than 60 different countries! Together its Members stand for service towards our communities and everlasting friendships beyond borders. In Sri Lanka the Organisation has grown to 6 Tables, which in a short span has accounted for numerous Community Service Projects with a goal of enhancing the wellbeing of the community at large and helping those who are in need. 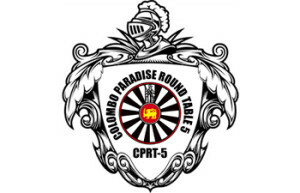 Round Table 5 also known as ‘Colombo Paradise Round Table’, which was the 5th Table Chartered in Sri Lanka was formed in 2013. The Members, under the leadership of Chairman Asif Nanji, immediately engaged themselves in ambitious Community Service Projects that saw the Renovation of a Home For Elders in Borella; and the building of a Vocational Activities Centre for ‘The Refuge’ Home For Girls in Kandy which is a Charitable organisation looking after girls mainly below the ages of 15. Round Table 5 through a Fund Raiser held at the Blue Elephant, Hilton Colombo raised the funds needed for the construction of the Vocational Activities Centre, which was completed and handed over in 2014. The latest Community Service Project undertaken by Table 5 was to raise funds for the ‘Ceylon School for the Deaf & Blind, Ratmalana’. 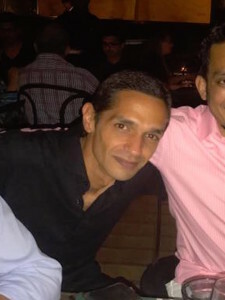 Funds were raised in November 2014 through a Fund Raiser Event held at the CASA Colombo Hotel. The Project saw much needed equipment such as fans for the childrens dormitories, facilities maintenance equipment, special audio visual equipment and other necessities donated being donated to the School in March this year. Colombo Paradise Round Table 5 welcomes Members who are interested in joining to help organize Charity Fund Raising Events held throughout the year and witness firsthand the contribution made together to make Sri Lankan society better. From the very first day that we were Chartered CPRT5 finished renovated the Home for the Elders in Borella; our second project was to build a vocational training center for, The Refuge Home for Sexually Abused Girls in Kandy. The third project was for the Ceylon School for the Deaf & Blind, The School is a well-established Organization in Sri Lanka and they had a dire need for a lot of equipment for their classrooms and children’s dormitories. Together with the School Board we identified several urgent requirements and made a commitment to provide it to them. In order to raise the funds required for this equipment, we set our targets rather ambitiously on having a multimillion rupee Charity Fundraiser Event, which was held at The Casa Colombo in November 2014 to a sellout crowd. This year too we have renewed our commitment with the Ceylon School for the Deaf & Blind where we plan on organizing a unique event and donate said proceeds in 2016. It has been my privilege to serve as the Chairman of Colombo Paradise Round Table 5.